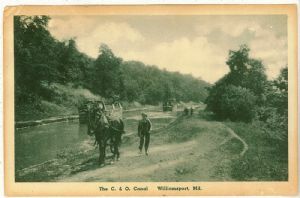 C&O Canal below lock No. 44 at Williamsport, Maryland. Boating ceased to function 1924.